Each approx. 6"h., 23 ozs. State Width and Size, as available in the Shopping Cart. Act ONLINE Now! Men's Wolverine Waterproof 6 Durbin Work Boots, Brown is rated 5.0 out of 5 by 2. Rated 5 out of 5 by Duffer58 from True to size. Very comfortable with good support. This is my third pair. Love these boots. 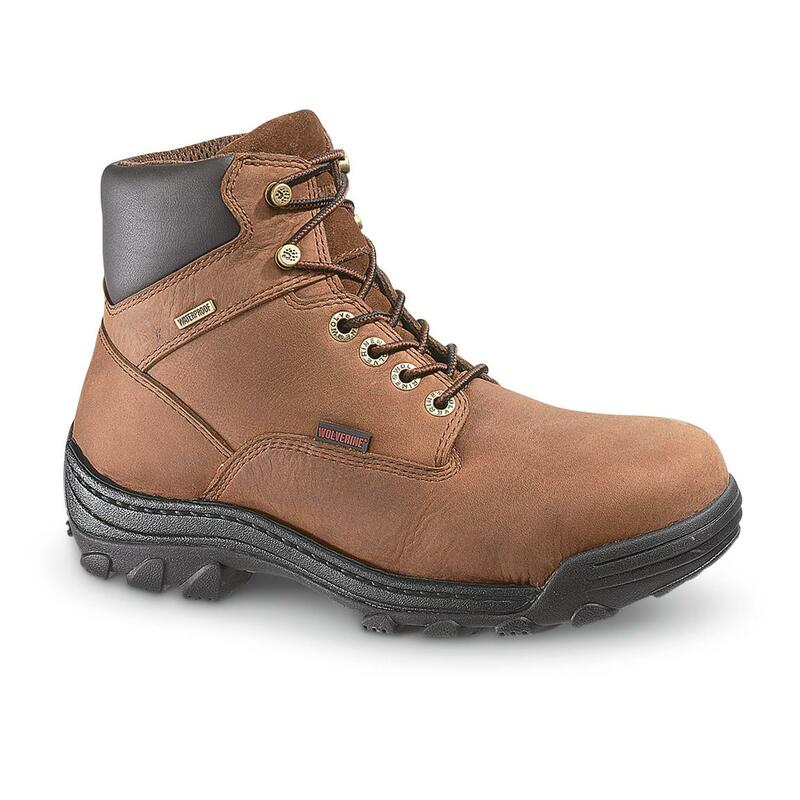 Rated 5 out of 5 by Jim58 from Best boot I've ever owned. From the first time I put them on, they were comfortable, three years later, they're still the most comfortable shoes I own. They hold up well and provide great support. I liked them so much I bought a 2nd pair. Now I'm ordering a 3rd so I've got another on hand for when my other ones wear out. Runs WideA rating of 1 means too narrow. A rating of 3 means too wide. A rating of 2 means normal width. This items average rating is 2.7.